Yup, those are Halloween decorations piled up everywhere, and yes they have been there since the first week in November. I asked the kids to take down the decorations, and they did….but after that, everything just kind of got piled up down the basement and forgotten about. I’ve been trying to keep my “simplify” as simple as possible on Mondays, so all I really focused on today was this one pile of junk. 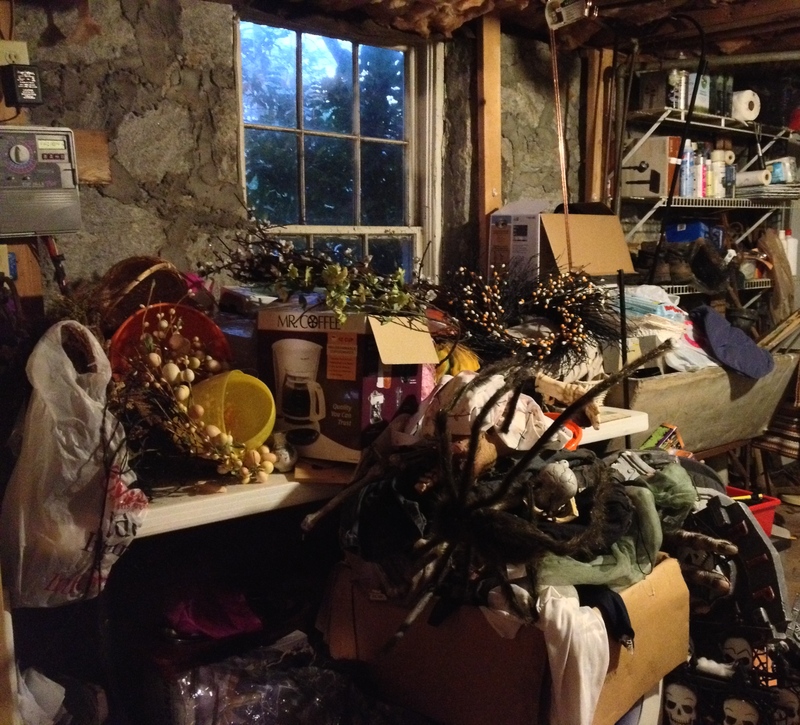 There’s plenty more basement to tend to, that’s for sure…but not tonight. Some stuff made it to the donation pile, and some of it made it to the trash. The rest I managed to store under the table for the next eight months. And yes, I found Easter decorations buried underneath the Halloween decorations! This entry was posted in Uncategorized and tagged abundance, chaos, clutter, organization, simple action. Bookmark the permalink. 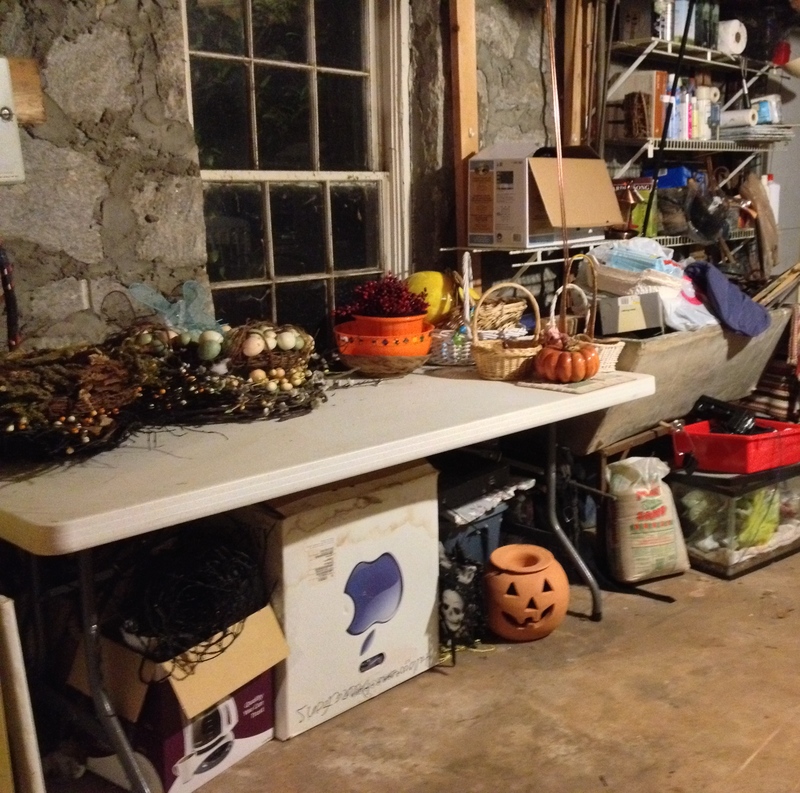 I think your ghost’s sibling haunts my garage…. Great looking “after” photo there! As long as you don’t pan too far to the right, where the chaos takes over again! Whoa! That is pretty amazing–talk about getting rid of a ton of junk! Whoa! Time to clean them up! Yup, little by little. We’ve got another charity pick up tomorrow, so a few more bags of stuff will be out of the basement and by the curb first thing in the morning!